Our new Big Bouncy Baby Blanket is the simplest knit and so squishy it's amazing. Just cast on and knit each color until you're done! You'll want to cuddle this blanket as your work its stitches. Combine your five favorite colors of Baa Baa Bulky merino yarn into this washable, lovable blanket. Gauge: 12 sts to 4" in stockinette stitch. 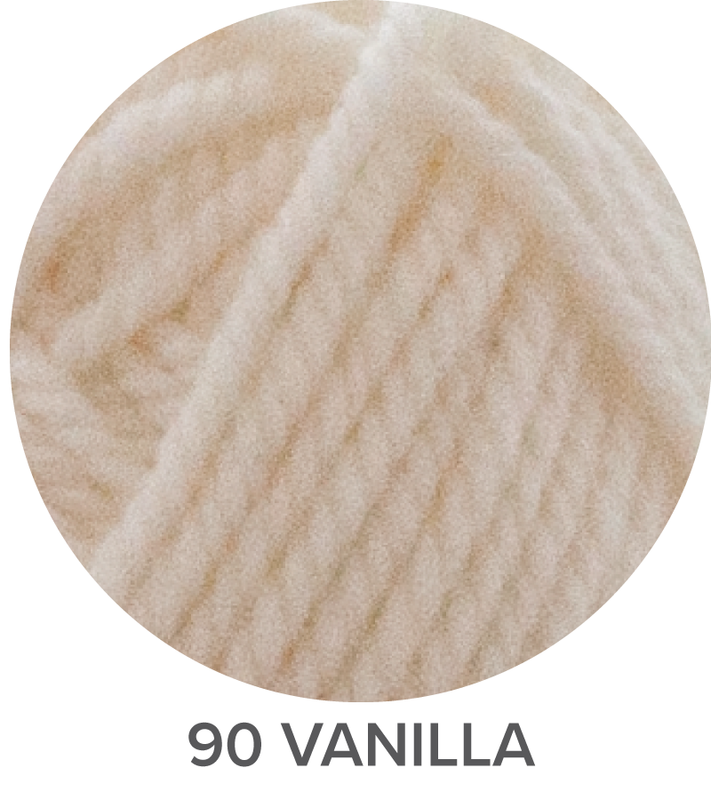 Baa Baa Bulky merino yarn comes in a wide range of colors that work together in so many ways. 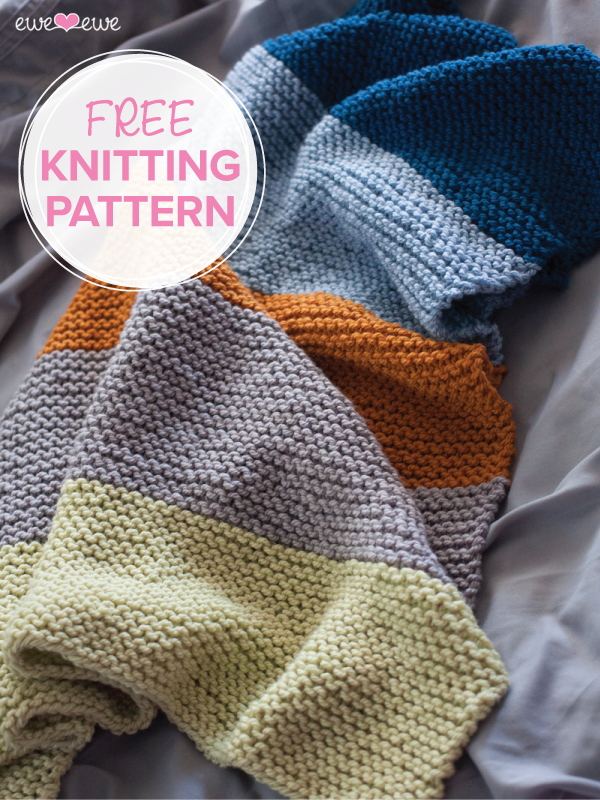 Try one of these other color combinations to make the perfect blanket for baby. This blanket is worked in garter stitch which is just knit. Every two rows of garter stitch creates one “garter ridge”. The pattern suggests working 17 garter ridges for each color but due to slight variations in gauge you may need to work less or could work more ridges with the same amount of yarn. It takes about 3x the length of a row to complete it. To keep the solid stripes always change color at the same edge of the blanket for each section. With Color A, loosely cast on 90 sts. Change to Color B and knit 17 garter ridges. Change to Color C and knit 17 garter ridges. Change to Color D and knit 17 garter ridges. Change to Color E and knit 17 garter ridges. Next row: Bind off loosely. Weave in all yarn ends and cuddle! Make this tasty treat for a sweet baby! The Neapolitan Baby Blanket is a free knitting pattern from Nobleknits and it uses three colors of Wooly Worsted yarn to look like famous chocolate, vanilla, and strawberry ice cream. The pattern uses two balls of each Chocolate, Vanilla, and Cotton Candy Wooly Worsted washable merino yarn. The pattern is a simple basket weave design – just knits and purls! – that's great for beginners or even a seasoned knitter! 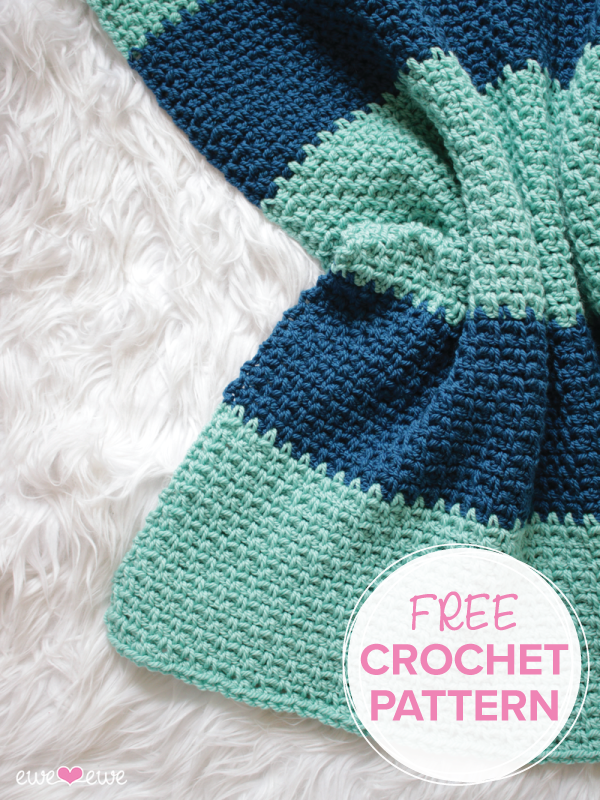 Get the pattern + yarn! What's cuter than a little kid in a hand-knit beard? Not much! You can knit this adorable little Santa beard for a baby or kid in your life. Better yet, knit them for all the kiddos and take the cutest Christmas card on Earth! The Baby Beard knitting pattern is available on Ravelry for just $2 and comes in two sizes, baby and toddler. Knit using Ewe Ewe Wooly Worsted yarn, this beard is soft and washable and one skein makes two baby-sized beards! Those twins are gonna win at Christmas. Get a kit! The Baby Beard is designed by our friends at PostStitch and you can get a complete kit that comes with the pattern and one ball of Wooly Worsted yarn packed in a sweet holiday bag. The Baby Beard Kit is available at poststitchbox.com for $12. Fun!